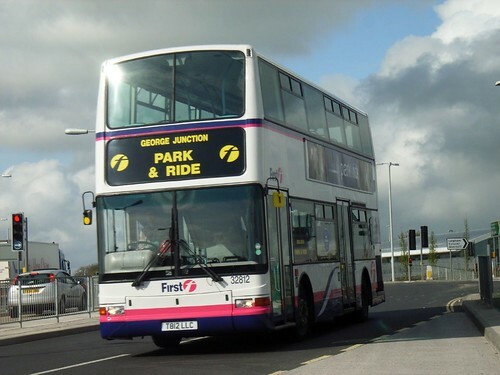 First in Devon and Cornwall is pleased to advise customers that the current service 93 will be completely re-launched in partnership with Devon County Council on 1st April 2007. The 93 will be replaced with super low floor double deckers and will have its own distinct branding. The main service between Plymouth, Kingsbridge and Dartmouth will now operate hourly Monday to Saturday daytime and continues with the current Sunday timetable. Devon County Council will also be improving roadside infrastructure. For further information about all First services in Devon and Cornwall please contact Customer Relations on 0845 600 1420. It has been confirmed that the buses for this service will be the T registered Dennis Tridents that were used on the Park and Ride before the new Enviros arrived. These are currently in Yorkshire being refurbished with new interiors and conversion to single doors. Cant wait to see what livery these appear in! It has also been confirmed that the remaining Tridents which were due from Bath - but sent to York are now also due back in Plymouth and are expected to arrive this week. I expect these will settle down onto the X80. Talking of the X80 there is another service which is calling out for the special treatment given to the 93 - surely thats a service which should be given its own livery and dedicated fleet of low floor double deckers?